At P.E.T. we are approachable, open, honest & helpful. We like to serve our customers in a welcoming, friendly manner & will take the time to ensure that you get the right equipment for the particular job in hand. 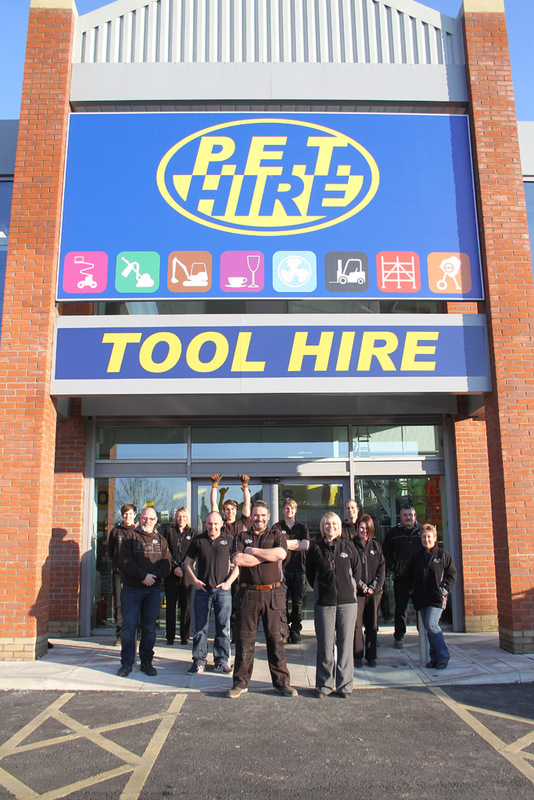 With 40 plus years in the trade, we have a wealth of experience in Tool & Plant Hire & specific knowledge of all of our equipment & it’s capabilities. So, feel free to ask your questions, you won’t find better advice anywhere. Save Money on hire at P.E.T. P.E.T. like to offer a quality, cost effective hire rate to our customer. We do this by charging a 1-2-3-4-5-6 & 7 day hire period. This means that equipment hired on a Monday morning & returned on a Friday morning is charged as just 4 days, every National hirer will charge for a full week’s hire over the same period. At P.E.T. we keep our pricing keen. So, be wary of big discounts from your national hire shops as they usually come with big list prices. With 42 years in the hire industry & with no small satellite depots to draw upon, P.E.T. hold a vast stock in it’s 2015 purpose built, 22000 square foot hire depot. This means that you, the Hirer, can be sure that 99.9% of the time we will have on the shelf, ready for hire, the exact piece of kit you need. Even the wierd, wonderful & unusual that our competitors think are un-hireable, such as Gas cages, Road plates, Road Forms, Hoarding & Brick Archmakers to name a few. We like to update our equipment and supply new, quality tools for hire to our customers. P.E.T. Has it’s purpose built Engineers workshops & trained personnel to guarantee your equipment is well presented & in perfect working order when you recieve it. In the event of a breakdown on site, we will endeavour to exchange your equipment & deliver it to site within the hour. FREE OF CHARGE.